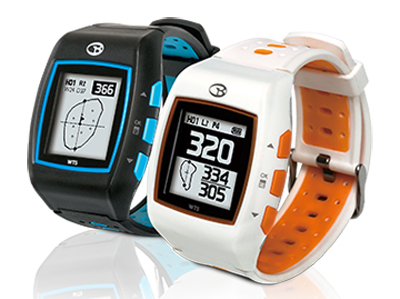 At $200 the GolfBuddy WT5 is an affordable watch-style GPS unit and part of the company’s extensive line up of distance measuring devices. On-course testing found it has lots of easy-to-like features beginning with the display which, even for someone like me who needs reading glasses, was perfectly readable in direct sunlight. In addition to the usual front-back-center of the green readings, a single push of a button gives distances to targets and hazards such as water and bunkers. The WT5 also has a “dynamic” green view and pin placement function—another single button press–and it allows you to move the pin icon around on the green for a more precise yardage reading. An update of the WT3, the WT5 is not as thick as the older model and is comfortable on the wrist for a full eighteen, even in the heat and humidity of Florida. The WT5 is pre-loaded with 37,000+ courses and automatically recognizes which one and which hole you are playing plus the digital scorecard was both handy and quick to use. As with all of the GolfBuddy GPS devices, there is no annual fee or a charge to download additional course. The other and obviously important factor is the WT5’s charge lasted for a full two rounds and though I never used it solely as a watch, according to GolfBuddy, in the watch mode the charge will go a full month. Among the least expensive of the wrist units the full feature WT5 is a great choice and if you are in the market for a GPS-based distance measuring device this is one you should consider.